Place flour mixture in a large mixing bowl and make a well in the centre. Pour in milk mixture. Gradually incorporate the flour mixture into wet ingredients until you have a smooth batter. Cover bowl and leave to rise at room temperature at least 1 hour. The batter can be prepared ahead and stored overnight in the fridge; stand for 1 hour at room temperature before using. 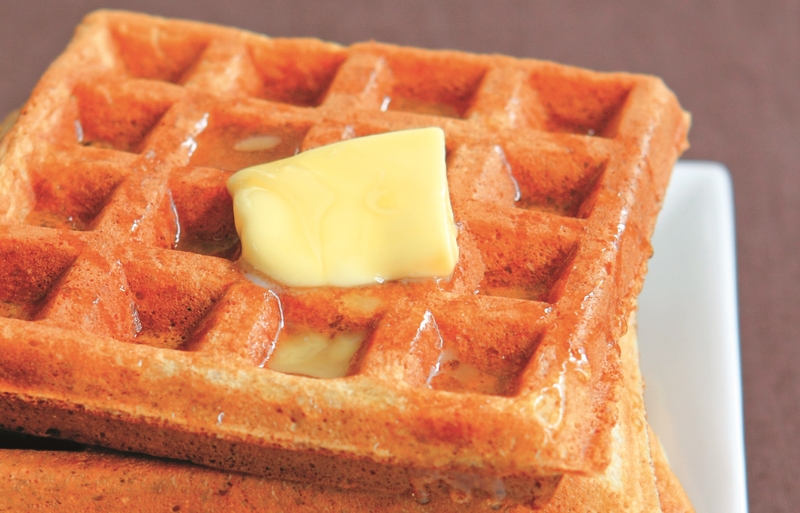 Preheat electric waffle maker, brushing the inside with oil. Spoon mixture into mould. Cook until brown and crisp. Cool on wire rack. Serve with jam, maple syrup, honey and margarine or whipped cream.